Friday, Schneidman’s spokesman, Zach Kouwe, said the will does provide that after bills and specific bequests are paid and Wilson’s large co-op is sold, Schneidman gets the residual estate as the trustee of Wilson’s revocable trust. “But the agreement in that Trust says Richard must distribute the money to charities as the manager of the trust and cannot take any money for himself beyond a small fee,” Kouwe said. “We cannot disclose the charities because of confidentiality agreements that Richard signed,” he added. 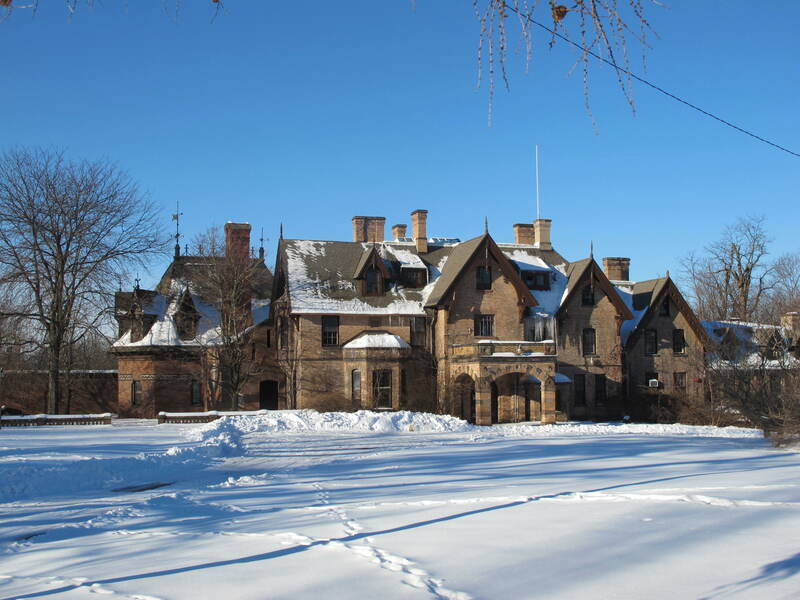 Hopefully this historic Beacon property, also known as the Tioranda mansion, will end up serving the community in some capacity, perhaps as a satellite to a college or university. Whatever happens, it’s important to keep the few large remaining lots in the city from being chopped up in the futile pursuit of tax revenues. 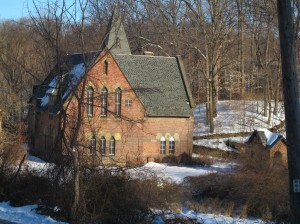 The gymnasium is on the southern border of the property, near the Fishkill Creek across from Madame Brett Park. It has an indoor swimming pool. The Tioranda estate was built during the Civil War for Joseph and Eliza Howland. 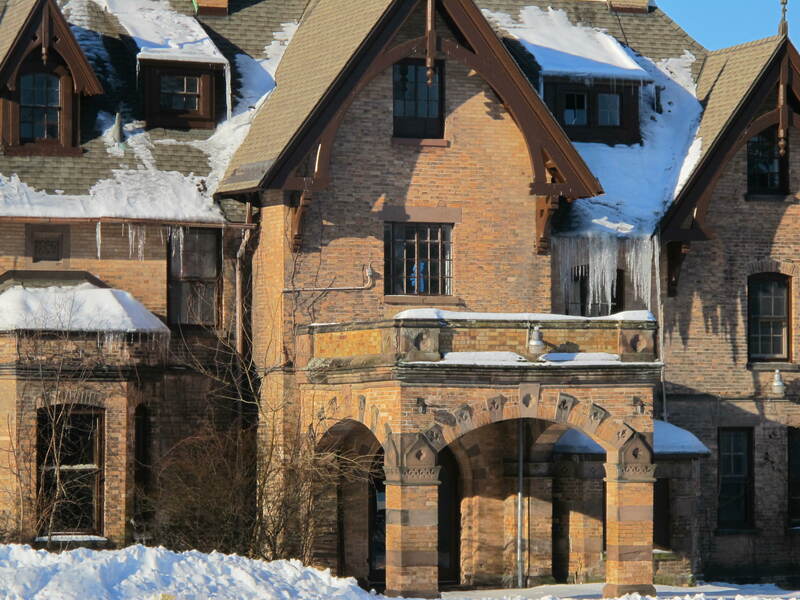 Frederick Clarke Withers designed the main house using a polychromed pattern of brick and stone. Horticulturist Henry Winthrop Sargent designed the estate’s grounds. I also worked there, most of the time I went to the cottage house. I worked there as rn in early 1979 to 71. It was a beautiful bldg. I wish someone would purchase this awsome place and restore it to the glory it eas. In the 1970’s I was a patient there for 9 months. It was a beautiful place. I have fond memories of the buildings and the people. Sometimes, I wish I could go back. By thy way – people do recover and they do move on. I played pool on the pool table too. I was a patient there 1974 under Dr. John Baker. For depression. Memories good and bad. Much comraderie amongst the alcoholics. Creepy group visits with severely deranged patients. Must write about it. Wondering about the old organ in the Craig House. Is it still there and does anybody want it taken out? I never heard of it. I was through there many years ago when they did a final auction of the last few things–stuff from the gym, steel cabinets, a pool table supposedly donated by one-time patient Jackie Gleason (but with the plaque acknowledging the donor ripped off). But no organ that I recall. The organ still exists and it is still in beautiful condition! I visited yesterday and my jaw literally dropped when I saw it. It is absolutely breath taking, the architecture, and the natural light pouring into the room. You can see photos of it here on my blog 😉 I am fascinated with this place!